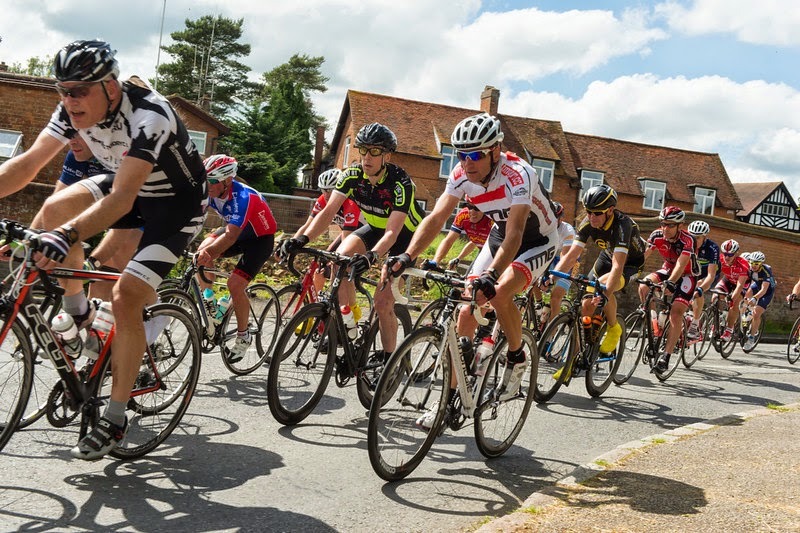 TMG Horizon Cycling Team staged their 4th annual Road Race on Sunday. 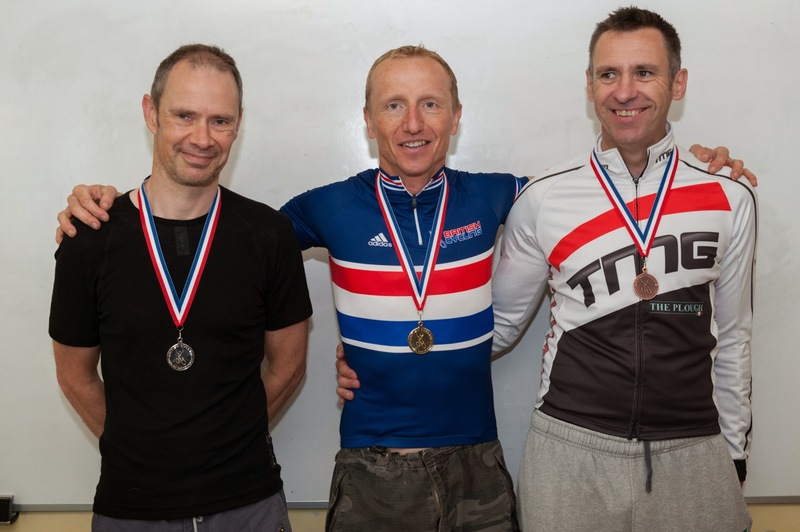 Upgraded to National B Status for 2014, organiser Neil Wass explained that the team wanted to help higher categories of rider develop; particularly the younger riders who often struggle with travel to find sufficient fixtures. The pace was high from the off and within half a lap, a break developed which looked like it could well succeed. Crossing the line for the The Plough Amersham Prime with 5 to go, last year’s 2nd place Danny Axford looked comfortable, although it was James Phillips of Dream Cycling who took the spoils. Locals Mike Jackson and Jonny Shuster were also in attendance and when they were joined by Mark Baines of Spirit Racing who put in a massive acceleration to bridge and one other, things looked good for the break with a one minute gap. With 4 to go, Jackson had been joined by team mate Ashley Cox but the pace of the break had clearly taken its toll as many of the original group had been dropped. Baines and Axford were driving hard as Jack Beezer of Arbis Colbert and Ben Stockdale of Metaltek Kuota started a huge 2up effort to bridge with the bunch strung out just 10 seconds behind them. Stockdale led the break over the line with 3 laps to go for the Redbourn Physiotherapy Prime and the strain was beginning to show, with gaps opening up in the break and an advancing peloton eating into the 40 seconds advantage. Things were looking ominous and it was this situation which led Danny Axford of Arctic Tacx to attack off the front of the break shortly afterwards. 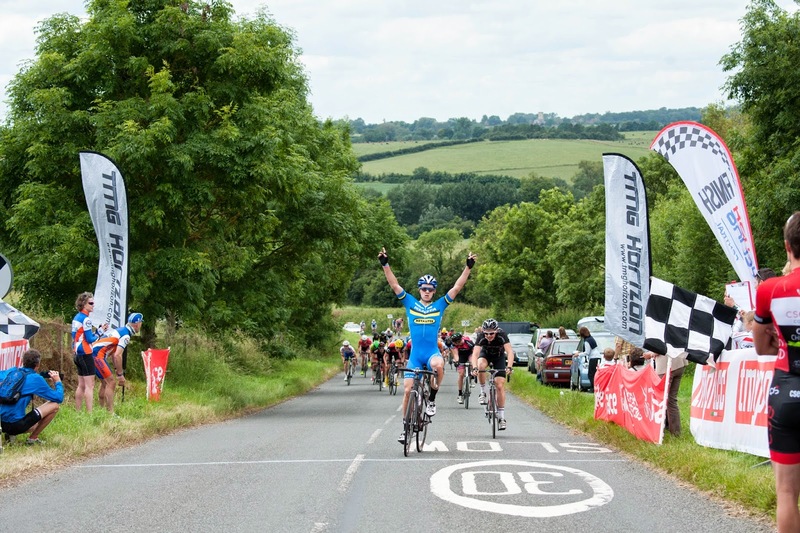 In characteristic style, Axford backed up the attack with a measured effort and carved out a gap of 26 seconds to the original break which was holding steady with 2 to go. 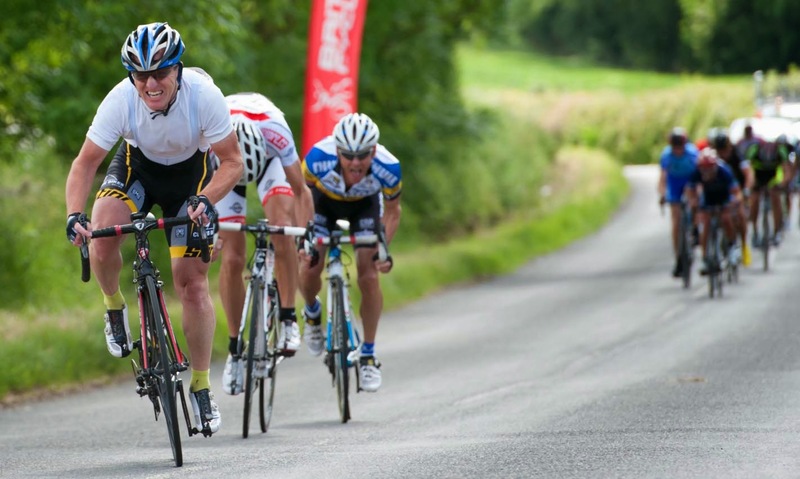 A lone effort was always going to be tough on such an exposed course though and he was caught by the widely fancied Beezer of Arbis, once again on the offensive as the front of the bunch started to explode with Mike Debney of Cadence pushing over the line in 3rd. It all came back together for the finale though. With many of the bunch struggling, it was looking like a possible bunch sprint up the finish hill but Ben Stockdale and Kieran Brady of City Centre Cycles opened up a gap of 5 seconds over the bunch as Stockdale took the win, clearly having conserved his resources judiciously. "We were thinking this could be good," recalls Neil. "But you never know what the reaction of the bunch will be. There were plenty of strong riders left in the main group." As the break accelerated away, the bunch didn't seem too concerned and the gap stretched to about 30 seconds, but there was generally enough impetus to hold it there; a widely used tactic with the aim of wearing out the break whilst keeping them close enough to pull back. And it it was in this state of equilibrium where Neil & Chris started to weigh up the situation: "We could see Paul Crook of Beyond Mountain Bikes and Gray Turnock of Finsbury Park CC in our group," says Chris. "And they weren't too chuffed that they's missed the break. I don't think they expected it to stay away so the frustration started to rise after 40 minutes." Turnock started to rally other riders in the bunch to ride, getting help from Scott Holmes of Hillingdon CC but Chris & Neil were always in the first 6 riders or so: "We weren't blocking," explains Neil. "But we made sure that whenever there was an acceleration, we were part of it and everyone knew they would have to count us out of any bridging effort. What was great was that we knew Paul & Gray would be the main challengers to Mick in a sprint finish so the possibilities were good if we could keep them back in the main group." With 5 laps to go, Turnock made a last desperate effort to cross the gap, but Neil was tight on his wheel and he had to sit up and accept the break was going to stay away. And sure enough it did, with Skipsey taking a finely judged Sprint Finish. "I was surprised because it almost felt too easy," he says. "But I've been through this scenario thousands of times in my head and trained for it hundreds of times so I guess that's part of the reason!" Turnock was gracious in defeat: "That was a well deserved victory for Mick. He's always up there in the finale so good for him, but also good for the team because the other two never lost focus in managing us lot in the bunch." Holmes agreed: "I reckon the other two in the bunch made the difference today. So many times we had the break in our sights, but they managed to slow us down. Great teamwork." We had to close entries to get the advance numbers in the programme, but we've now opened a new first-come-first-served list for late entries to make it easy to manage latecomers. There's an entry button on the race page so it really is very simple. 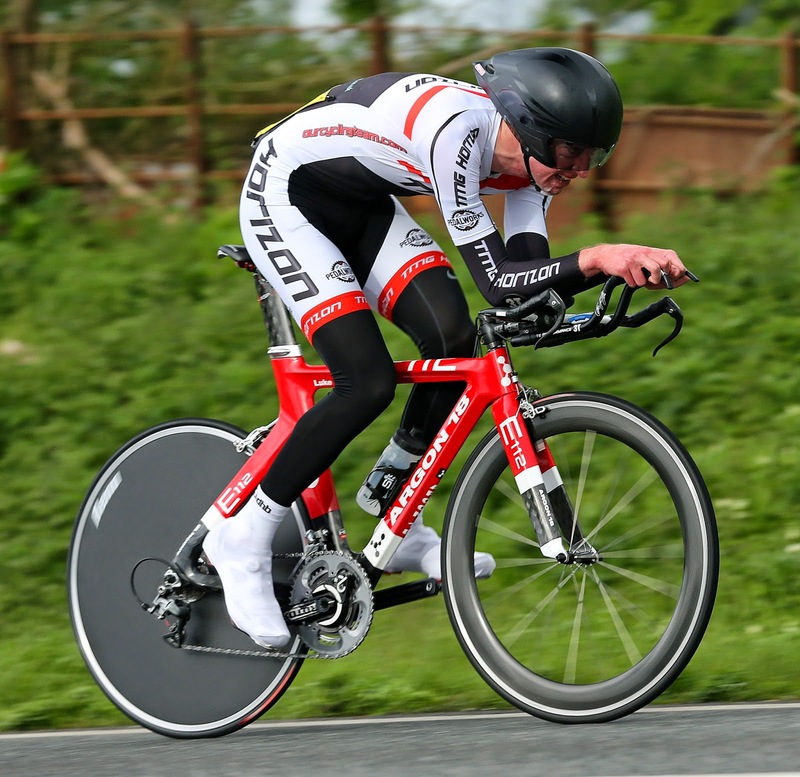 Michael Skipsey joined the team last year and from a standing start he's concentrated on crafting a specific approach to closed circuit racing. 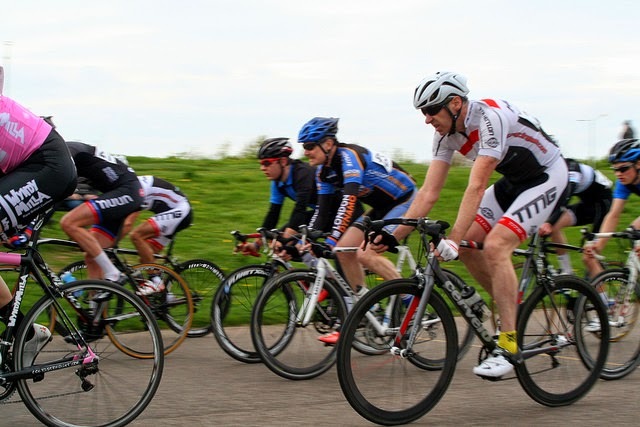 Despite this season's progress with regular top fives at the Fortnightly Masters Series, he went into yesterday's National Masters Criterium Championship with modest ambitions: "I thought top ten would be enough to aim for," he recalls. "But it did fell like a bit of a home race for me and I suppose that gave me a slight advantage." 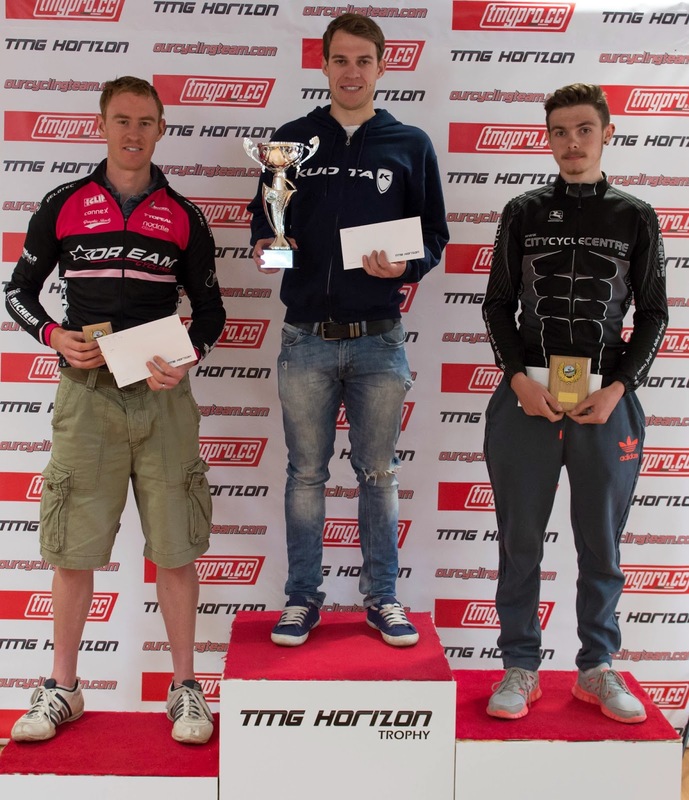 Patience is often the key at Hillingdon and, sure enough, the 90 minute race came down to a sprint finish. "It helps when you know exactly where to go full gas because you can very easily overstretch yourself," he continues. At least I had that clarity and I managed to hold my focus and not get too overawed by the occasion." Today's Eagle Road Race in Radwinter saw Neil, Paul & Chris take to the start line. A fairly steady 1st lap was soon eclipsed by some attacking riding from Neil, who teamed up with John Alderman of GS Vecchi and Tim Davies for a few kms of break until he was brought back by the bunch. Wising up to this attention, Paul took off shortly afterwards and, having been chased down, repeated this until he finally got away again with, of all people, John Alderman. The bunch kept the duo in their sights but, although on occasions it came down to as little as 300m, Chris & Neil stayed near the front of the bunch to follow any moves and managed to drag numerous chase attempts back. Up front, Paul managed a 2up time trial for around 50km: "That was extremely hard work," he winced. "I'm normally in a decent sized break or I tend to stay with the bunch until the last lap so it was very good training!" Training this was not though and he remained attentive and, keeping his head, outsprinted John for the win. "I'm well chuffed," was his conclusion. "And it was a great team effort. I heard afterwards how the other two were keeping moves in check so it feels great to know they were looking out for me." 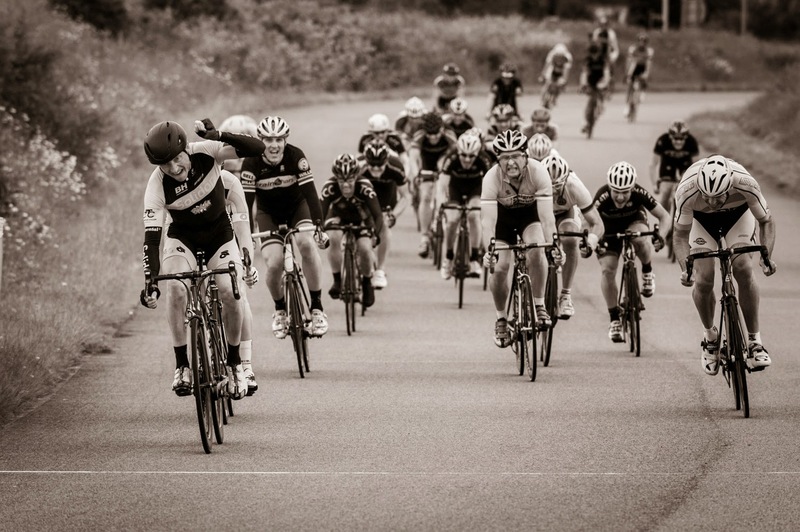 Luke was back in action on Saturday at the Hitchin Nomads 25. 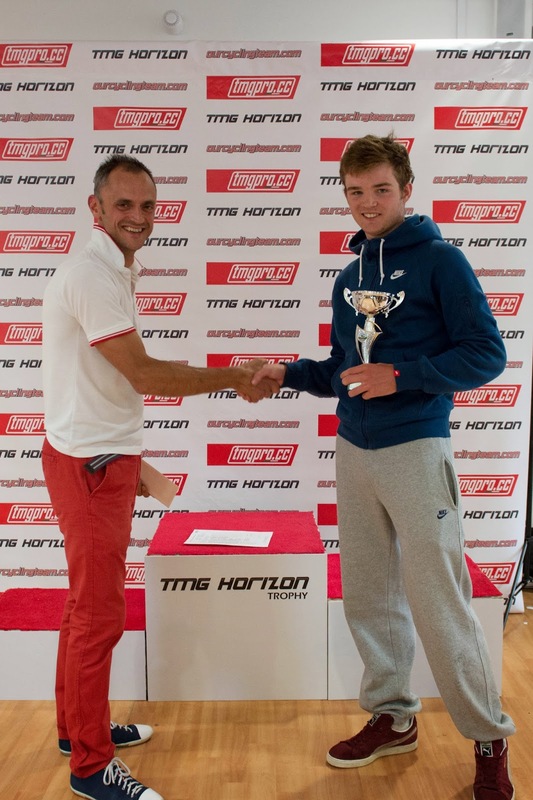 Clearly hitting some form now, he was nearly two minutes faster than his nearest rival, Tom Trimble to take an emphatic victory.